Warts are caused by infection in the outer layer of the skin (epidermis) with a virus called the ‘human papilloma virus’. The virus enters the skin through tiny breaks in the skin surface and causes the skin to over-grow and thicken, leading to a benign (non-cancerous) skin growth (the wart). There is nothing more humbling for a dermatologist than warts and plantar warts most of all! 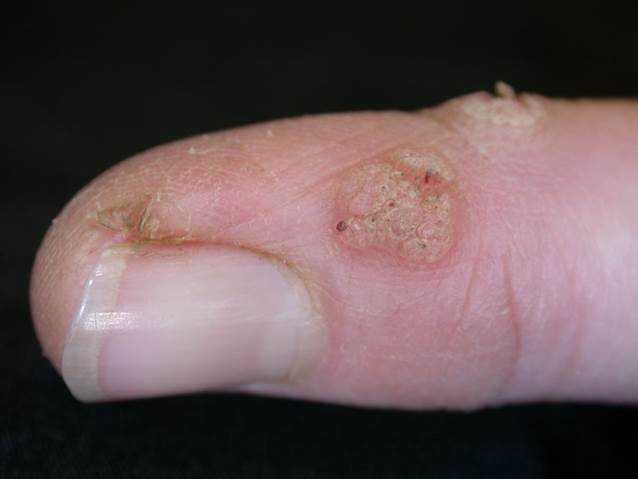 Plantar warts are warts on the sole of the foot and are caused by contact with the wart virus on infected skin scales – for example from the floors of public bathrooms, shower cubicles and the areas around swimming pools. Sometimes it can be difficult to tell a plantar wart from a corn. Your dermatologist at Atlantic Dermatology and Laser may need to scrape down the area to find the black dots that confirm the diagnosis of a viral wart. These little black dots are the blood supply which the wart virus creates to feed its growth.